On one of my days off (it’s always a working vacation), before Typhoon Glenda hit, I went to the Yummy Eats 2014 food festival. I went primarily to pick up handcrafted, thick-cut bacon from Mad Meats, but once you have a bag of meat, there’s a tendency to start a collection. After all, what good is meat if you don’t have cheese? 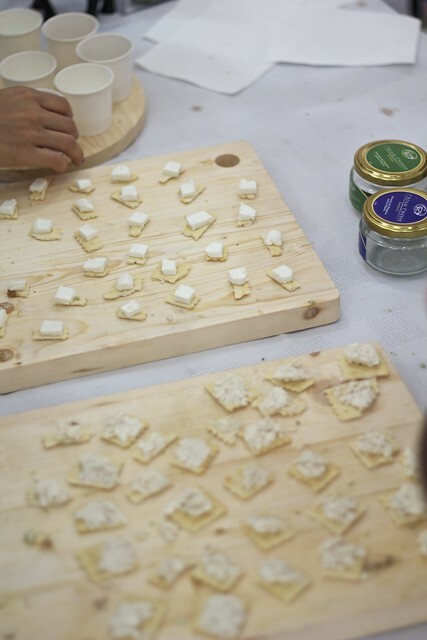 And what good is cheese if you don’t have artisanal crackers? And so on. I didn’t get a lot of good pictures from the festival, but the following are the ones I thought were worth sharing. Cream cheeses flavors with herbs and garlic. Very good, but we forgot about them and left the jars I bought in the Philippines. Pouf! Marshmallow Creme. It came in three flavors: original, Oreo, and cookies and cream. I tried the latter, and it was delicious, but I didn’t think I could transport a jar of it safely back to Malaysia in my baggage. Chicharrones. 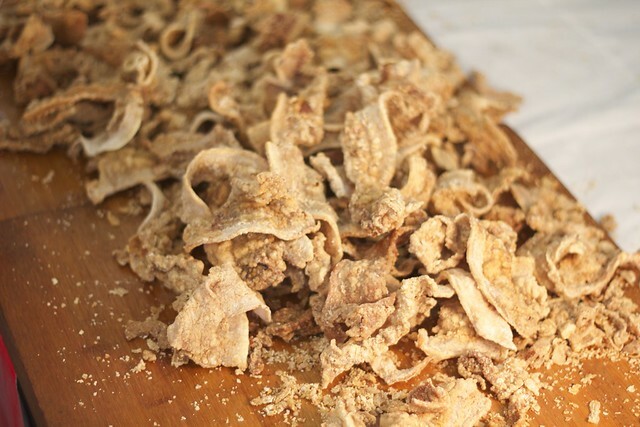 Deep fried pork rinds (pork skin). Absolutely delicious. 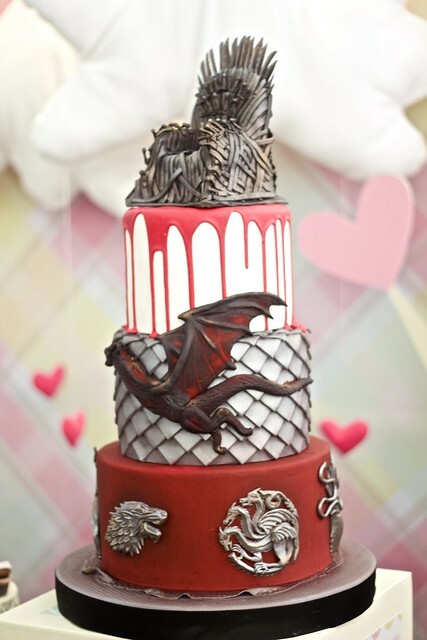 A Game of Thrones cake! There were many more booths, one with a lasagna that I loved, but alas, I left my festival guide behind, and can’t remember the names of the vendors. As always, the food in the Philippines was ridiculously good across the board. Stay tuned for Part III, in which I drop some helpful tips for not being “that person” on an airplane. Yesterday, I went on a little trip to the Thaipusam festival at the Batu Caves in Kuala Lumpur. Below are pictures, followed by a short announcement regarding the future of High-Definition Fantasy. After this post, I am changing the visual theme for High-Definition Fantasy. This is in part because, at least on my browser, the words are too large and there are some formatting issues (spacing, mostly) that I can fix using a different theme. I’ve waffled on the issue for a while, but think that it’ll be a good change. If, however, the blog becomes unreadable on your mobile devices, or whatever, just let me know, and I’ll consider changing it back. Tomorrow, you will see a post that I’ve been working on for a week and change. It’s a departure from my normal voice, and is on the long side.